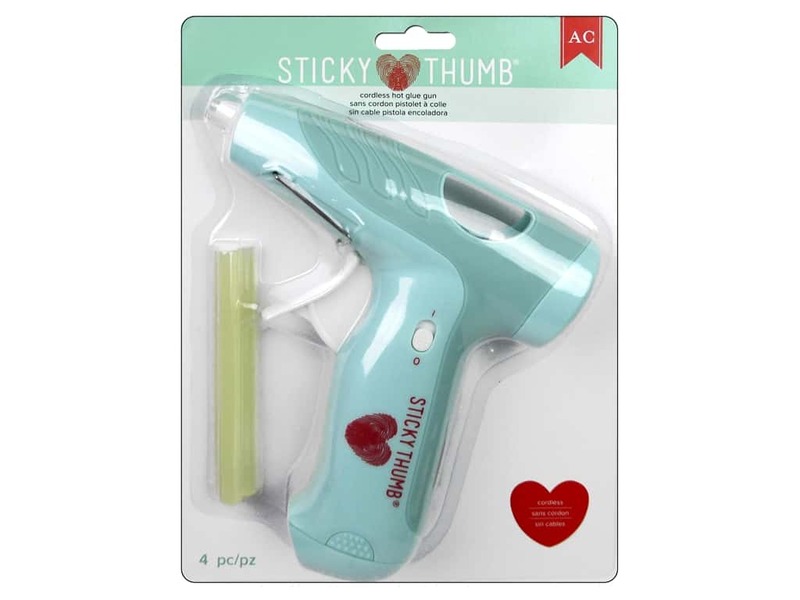 Description: American Crafts Sticky Thumb Cordless Glue Gun is a mini glue gun that runs on 4 AA batteries, not included. Gun has an on/off switch, wire stand, and a lighted nozzle for easy application. Uses standard mini glue sticks with 3 included. See more American Crafts Tools.